Reading and writing are inextricably linked, but it’s a lopsided relationship. One can be a voracious reader without ever feeling the need to write, but being a writer by necessity demands voracious reading. There are some who seem to believe they can write without having to read extensively (or at all!) but I imagine this is a self-correcting delusion. It may be a more obvious problem in this age of self-publishing ease, when one’s shortcomings can make unfortunate and sometimes wide spread public displays, but the simple absence of any kind of artistic æsthetic on which to base the work is fatal to the endeavor. Besides, what would be the point other than a profound narcissism. Part of the fantasy of “being a writer” is to join a fraternity whose past membership has provided the delight you hope to offer, a delight you have presumably found in reading. I imagine that for some writers, the desire grows gradually, a cumulative response emerging after many books. Specific texts are less important than the experience itself. For others, there’s a turning point, a moment when the reading experience in a given work sparks the “I want to do this!” response that grows, if nurtured, into a lifelong obsession. I can pinpoint my own turning point. 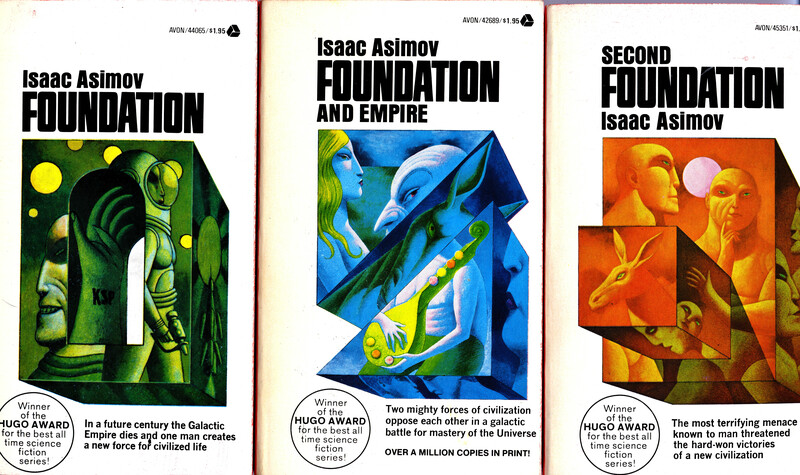 Isaac Asimov’s Foundation and Empire was the book that decided me. I bought it at the corner drug store in 1968. Mr. Leukens had a spinner rack from which I’d been obtaining paperbacks for almost a year by then. I can say quite honestly and without embarrassment that it was the cover that caught my attention. That Don Punchatz rendering radiated “significance” in a way other covers failed to achieve. 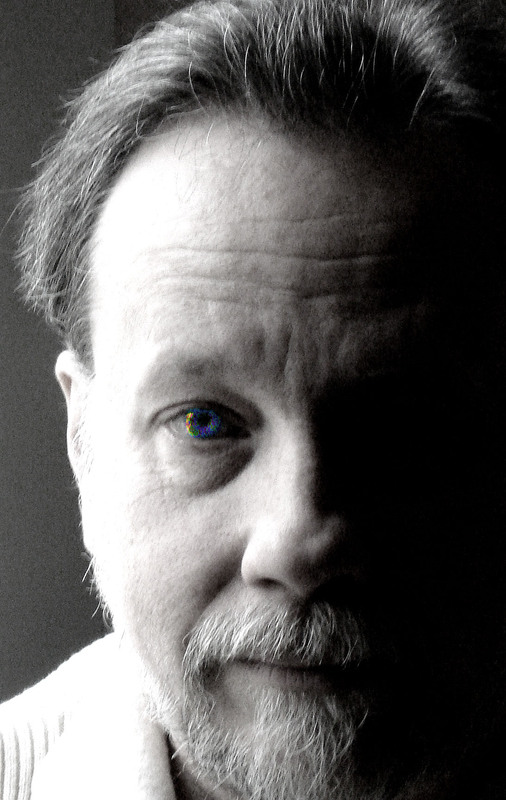 I’d been reading science fiction in one form or another for as long as I could remember. Comic books, mostly, but once I’d obtained my library card, the occasional SF novel came home with me. A lot of them seemed…well, stodgy compared to the movies. I admit to being disappointed with science fiction that was set in more or less the present day. I was a kid, after all, I was after the gosh wow! more than the cerebral pleasures that are the chief attribute of the form, at least in those days. I wanted Forbidden Planet and John Carter not stuff stuck on Earth. Asimov I knew from another novel, Pebble In The Sky, which I had read earlier in the year. I still wasn’t connecting authors with preferred experiences, at least not as a guide to find more of the same. Partly this was because I had no reliable way of getting more by a given author. Leukens Pharmacy was my primary source and the fact is he had no control over what ended up in that spinner rack. It was hit or miss. Asimov sold the first Foundation story to John W. Campbell in 1941 and went on to write all the stories that comprised these three books by the early 1950s. I read them out of order. The middle book first, then the first one, finally, after months of searching, the last one. The covers above are from a slightly later edition, but basically the same ones I eagerly sought and devoured. They were everything, at the time, that I wanted from science fiction. I was 13, almost 14. My reading had been chaotic though wide and I had a smattering of history (not nearly enough to form any cogent opinions of events) and I had the sense that a lot of fiction, especially in the movies, was disconnected from all that went before whenever the events of the story took place. Right off the bat, Asimov offered a simple, elegant way to imply a concrete history by the epigrams of his fictional Encyclopedia Galactica (an obvious but nevertheless effective play on Encyclopedia Britanica and American). That “scholarship” existed on which the chronicler of these wholly fictional and fantastic events could draw provided a basis of “authenticity” that completely sucked this reader in. What followed was a self-consciously analytical treatment on the way history might work. The premise is Cartesian—if one knows enough about enough, then one can make reliable predictions. The sheer control offered by Seldon was profoundly seductive. And then, of course, there was the Empire, spanning the entire galaxy, thousands of worlds, a massive civilization bound together by hyperdrive and the Imperial center on Trantor. Trantor itself was such a startling idea, an entire planet completely covered by a single city. Gaal Dornick’s arrival on Trantor, on later reflection, was the arrival of any young man from a more rural part of America to New York via Grand Central Station, and the awe of such a massive construct. (Samuel R. Delany rather elegantly recapitulated this in the opening scenes of his Atlantis: Three Tales with the actual New York.) In a way, Dornick’s reaction is very like the reaction of a new reader who suddenly “gets” it. Considerations of cost and the unlikelihood of achieving any fraction of the kind of homogeneity, political or otherwise, never entered into it. Asimov had loosely based his Galactic Empire on the Roman Empire and that itself was a highly improbable collection of provinces under a single banner. If you could accept the one (which had actually existed) you could accept the other, especially since as the story opens the Empire is beginning to crumble. By this device, Asimov acknowledged the latent impossibility of a “galactic empire” by letting us watch its demise from sheer social and political entropy. New things are born from the ruins of the old, and the rest of the series is about these new things. What I found so appealing was the inherent historicity of the Foundation stories. Of course, the idea of mathematically predicting future events with the kind of precision suggested in these stories is fantastic at best. The notion behind it is not fanciful, there is something to the dynamics of large groups in motion that lends itself to patterning. Asimov simply worked a variation on actuarial math and raised to dizzying heights. It is a criticism of which he was well aware, one I already agreed with since I’d begun with the middle volume—the one in which The Mule appears to completely overturn everything Seldon had constructed. The fey element, the unpredictable, the unaccountable. Asimov subverted his own premise. But that opened the narrative up to a more sinister thread, one which has also been geared into history: the secret society, the hidden group which from time to time people believe to be the real rulers. In this, Asimov was still playing with the plausibilities of accepted historical narrative. It was easy then to accept that Asimov was writing about the collapse of the Roman Empire—and the perfectly agreeable desire to shorten the inevitable “dark age” following the fall of such a huge and apparently monolithic construct. But as one grows older and continues the kind of necessarily broad and voracious reading essential to being a writer of any worth, such simple comparisons erode. The falls of empires probably always follow certain patterns, but in the details they differ. I now suspect Asimov, if he was being intentional in his subtexts at all, was writing about the vanity of empire rather than of any particular one, and the costs of such things to those who become dependent. Asimov was a refugee, born in Russia. Perhaps too young to remember anything of his early childhood there, no doubt he heard the stories, and of course there was World War One, the first death blow of a European Order that went back a millennia at least. By the time Hitler was trying to establish a new Roman Empire (at least in terms of territory if not intent), it was obvious that the old regimes were done for, and the future was about to be in the hands of the bureaucrats, apparatchits, and opportunists in a way never before seen. In such a world, the idea of preservation itself might be seen as the only worthwhile enterprise—the preservation of knowledge, which would make Seldon’s Encyclopedists the first moral actors in a post Imperial age. I think Asimov was writing about the world he lived in rather than either the Roman Empire (or Republic) or the Galactic Empire. Naturally, insofar as science fiction is always really about the present, viewed through the distorting lens of a future tense. But more than that, because he was establishing priorities. Empires rise and fall—the Foundation itself becomes an empire (much as America did after WWII, if not in fact at least in influence) and all empires become pieces on a larger chess board in a game played by those behind the scenes—but what matters is the continuity of knowledge and access to it for all those people who must survive the changes in political fashion. I couldn’t possibly have recognized all this when I first read these books. Some of my peers, and certainly many of the adults around me then, dismissed them as they did all SF as “mere” entertainment, idle speculation, and, at worst, a waste of time. But for me, what may or may not have been latent in the text was sufficiently present to inspire. The seriousness with which Asimov approached his subject was very different in tone and effect from, say, Doc Smith. Insofar as I have ever been scholarly, the Foundation series spoke to me on that level, and triggered the response that led me to start writing my own stories. It’s telling that in Asimov’s autobiography, In Memory Still Green, he claims that he had no idea what he intended to do after writing and selling that first Foundation story. But he had put a hook at the end of it which demanded a second story, thinking himself clever that he had in some way trapped Campbell into having to buy the sequel in order to answer the question, without quite realizing that he then had to deliver. He goes on to claim that he never could work from an outline, not then and not later. Maybe not on paper, but there was an outline in his head somewhere that provided a reliable template. Of all the SF I read back then, I find few I can reread with any pleasure. This is one of them. It still enthralls me. I can still see the vast deeps between the stars and the terrible force of history unfolding and enfolding across time the matrices in which we nevertheless decide for ourselves what we want and struggle to accomplish. That, at least, is my story.